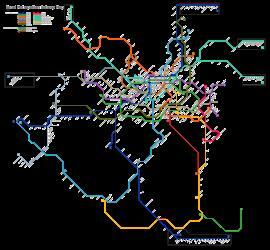 What is the cheapest way to get from Ori Station to Suwon Station? 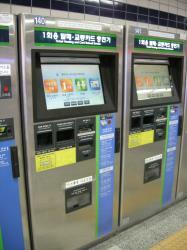 The cheapest way to get from Ori Station to Suwon Station is to subway which costs ₩1,500 - ₩1,650 and takes 26m. What is the fastest way to get from Ori Station to Suwon Station? The quickest way to get from Ori Station to Suwon Station is to taxi which costs ₩17,000 - ₩21,000 and takes 15m. How far is it from Ori Station to Suwon Station? The distance between Ori Station and Suwon Station is 13 km. The road distance is 16.2 km. How do I travel from Ori Station to Suwon Station without a car? The best way to get from Ori Station to Suwon Station without a car is to subway which takes 26m and costs ₩1,500 - ₩1,650. How long does it take to get from Ori Station to Suwon Station? 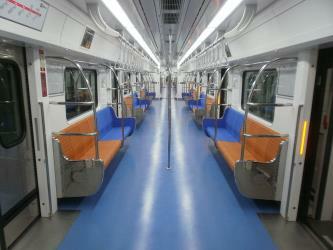 The subway from Ori Station to Suwon Station takes 26m including transfers and departs every 15 minutes. Can I drive from Ori Station to Suwon Station? Yes, the driving distance between Ori Station to Suwon Station is 16 km. It takes approximately 15m to drive from Ori Station to Suwon Station. Where can I stay near Suwon Station? There are 170+ hotels available in Suwon Station. Prices start at ₩50,000 per night. 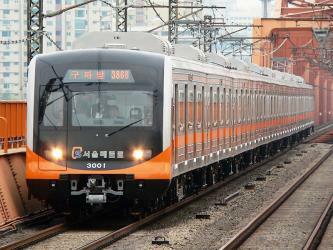 What companies run services between Ori Station, South Korea and Suwon Station, South Korea? 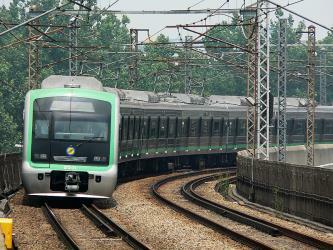 Seoul Metro operates a vehicle from Ori Station to Suwon Station every 15 minutes. Tickets cost ₩1,500 - ₩1,650 and the journey takes 26m. Rome2rio's Travel Guide series provide vital information for the global traveller. Read our range of informative guides on popular transport routes and companies - including What documents do I need to cross Niagara Falls?, The beginner’s guide to the 2018 World Nomad Games and Bali: What to do if Mount Agung erupts - to help you get the most out of your next trip. Seoul Grand Park is a park complex to the south of Seoul, South Korea, in the city of Gwacheon (과천시). Everland is South Korea's largest theme park. Located at the Everland Resort in Yongin, a city in Gyeonggi-do, it receives 7.3 million visitors annually and was ranked sixteenth in the world for amusement park attendance in 2014. Along with its main attractions, Everland includes a zoo and water park known as Caribbean Bay. Everland is operated by Samsung C&T Corporation (formerly known as Samsung Everland, Cheil Industries), which is a subsidiary of the Samsung Group. Seoulland is an amusement park opened in 1987, in Gwacheon, a city in Gyeonggi-do province, South Korea. It is located in the Seoul Grand Park complex. It opened just before the 1988 Summer Olympics. It has about 40 rides, including roller coasters, and movie theaters. Seasonal festivals are held in the park. It is smaller than Everland, but closer to Seoul, about one hour away from downtown. Approximately 3–3.5 million people visit the park in a year. Roughly a third of its 300,000 m2 is green space, the rest being packed with the attractions. Everland Resort is a theme park and vacation resort located in Yongin, Gyeonggi-do, South Korea. It is owned and operated by Samsung Everland. The resort opened on April, 1976, as a single theme park (Everland), but developed into a resort with water parks, hostels, speedways, golf course and museums. 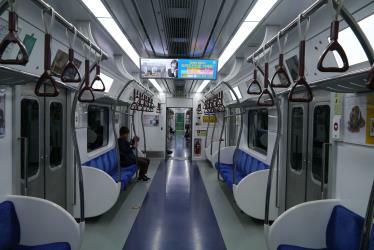 Rome2rio makes travelling from Ori Station to Suwon Station easy. Rome2rio is a door-to-door travel information and booking engine, helping you get to and from any location in the world. Find all the transport options for your trip from Ori Station to Suwon Station right here. Rome2rio displays up to date schedules, route maps, journey times and estimated fares from relevant transport operators, ensuring you can make an informed decision about which option will suit you best. Rome2rio also offers online bookings for selected operators, making reservations easy and straightforward.